If you have a home or business with water damage, and need water extraction or drying services, you have come to the right place. Because time is your enemy, wherever there is wet drywall, carpet or carpet padding, immediate response is critical. Our water clean up crews who service the Chandler area understand exactly what it takes to handle these delicate disasters. Our response is immediate and our on-site time for water restoration services is 60 min or less (most cases). What do Water Restoration Companies in Chandler do? Water restoration companies in Chandler offer 24 hour emergency water removal and structural drying services. The purpose of these services are to PREVENT mold and bacteria growth as well as to mitigate the need for structural repairs. Any building with active plumbing is a candidate for water damage. Sudden bursts of a water supply line or a sewer backup are two of the most common leaks that occur in a residential or commercial building. Interestingly, most water damage occurrences are accidental. However, some are intentional. Whatever the case, each situation has the potential to become a breeding ground for mold and bacteria if not restored and cleaned up correctly. This is exactly what water damage restoration companies in Chandler do… We restore these types of damages. Immediately following the initial call (assuming our services were requested), our water extraction crew will be on site within one hour or less ready to work. Once on site, the first thing our certified techs will address are any safety hazards. After a safety inspection, the technician will then begin securing contents and personal belongings in the order of priority. After securing contents from further damage, our extraction crew will begin removing standing water from flooring materials such as carpet and tile. After a thorough water extraction, a moisture content evaluation will be conducted to measure the amount water saturation in the affected areas. This inspection lets our technicians know what drying protocol to apply. Our main goal is to make certain the structure returns to its pre-loss condition. Special moisture monitoring equipment is used each day to check the progress of drying. This helps to ensure a complete drying of all affected materials. Once wet building materials return to their dry standard, drying considered complete. Proper water extraction, plenty of air movement, adequate dehumidification, and temperature control are the basics of a water damage repair project. One must have the proper drying equipment and understanding of building envelopes, and how they relate to psychrometrics and evaporation to engage in structural drying services. Think the Water Leak Wasn’t that Bad? It only takes a few moments for full saturation to set in and a few days for mold to grow (under the right conditions) if the wet materials are allowed to dry on their own. With out the proper equipment it’d be very difficult to measure the amount of moisture in the material just by looking or feeling. Most small water leaks IF taken care of professionally, will cost much less than what it would cost to clean up the same area if that area grew mold. Mold removal can be avoided with proper mitigation. Our company offers the most thorough moisture inspection in the industry and can give you a price quote on any needed repairs upfront before services began. Call today to schedule an evaluation. The piece of mind gained knowing mold is not an option is priceless! Do you have water damage from a busted pipe? Did your toilet or sump pump overflow? Do you have a flooded basement? What about storm damage? Before a home can be restored, a plan of action needs to be formed. This consists of a restoration company inspecting your home and finding where and how far the water penetrated the property. Our professional will use tools such as moisture meters and IR cameras to see how far the water has spread on the surface. These tools will also locate any hidden areas where water may be, such as in walls and under floorboards. Many people in Chandler, AZ who experience water damage, quickly think that their electronics, clothes, documents and photos will be destined for the scrap heap. That’s not the case in many situations. Our water restoration company will either have our contents division or will outsource work to a separate contents division assist you with these items. That’s not to say that some items are unable to be saved, but most homeowners are shocked to learn that over 90 percent of all items damaged in a conventional water loss can be restored; and for a fraction of the cost of what it would be to completely replace them at. Using a piece of equipment known as a truck-mount; our water restoration technicians will extract any standing water from the property. Water extraction is essentially the removal of standing water from flooring materials so that maximum drying can take place. Category 1 – water from a clean or sanitary source. Category 2 – water that contains some level of contaminants that may pose a health risk to a homeowner. Category 3 – unsanitary water that could cause illness. Sewage losses, flooding from rivers or streams and wind-driven rain are all examples of Category 3 water. It’s also important to note that a Category 1 water loss can quickly escalate into a Category 2 or Category 3 water loss if it mixes with certain contaminants or is allowed to support mold growth. The faster the water is removed from a home, the better. That’s why it is important for the homeowner to take quick action after discovering water in the home. In the event of a Category 3 water loss, deconstruction may be necessary. 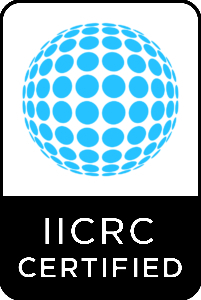 That’s because the IICRC S500 Standard on Professional Water Damage Restoration states that anything porous that’s damaged in a Category 3 water loss needs to be removed. This includes drywall and particleboard. Additionally, anything semi-porous can be treated on a case-by-case basis and anything that is not porous can be sanitized and disinfected. Based on this standard, drywall, carpeting and flooring materials will not be able to be saved if damaged in a Category 3 water loss and will thereby need to be removed from the home. If Category 3 water wasn’t present inside the home, then the aforementioned can likely be dried. That brings us to our next step. Following water extraction, restoration workers then need to dry the impacted area. This can be done in a few ways. 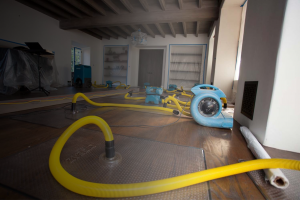 The most popular method is to place air movers and dehumidifiers around the affected area. This method lifts the moisture into the air and removes it through the dehumidifier. Injection drying can also be set up in walls and under cabinets to save many of the homes components. Complete drying is usually 2-5 days. Following extraction and drying, additional measures may need to be taken to ensure that mold doesn’t grow. Applying an antimicrobial product to the wet area can usually prevent mold. Antimicrobials also work to treat any mold or bacteria that may have already grew and can prevent any new growth from starting. Because every water damage loss is different, a professional will know what will be the best way to treat your loss. At the end of a residential water damage restoration job, verification is done to ensure the job was completely correctly. Moisture meters and IR cameras may again be used to verify there’s no remaining water. In the event of a Category 3 water loss, environmental sampling is HIGHLY RECOMMENDED to verify cleanliness of the impacted area. In addition to this step, reconstruction and/or minor repairs may also be needed based on the extent of the initial damage. Chandler Arizona is no stranger to floods. Due to Monsoon Season and areas of irrigation, properties have seen their fair share of flooding. Flood cleanup is a different monster in the world of restoration. All flood damage is classed under a category three loss. This means that there will be less to dry and more to remove. Because flood water can carry multiple contaminants, proper cleaning is a must to ensure a safe and healthy restoration of the property. Flood damage is a loss that typically requires a specific insurance policy for those types of damages to be covered. Many homes however, do not have this coverage and are subjected to cover the cost of the repairs. It is always a good plan to know what your coverages are that way preventative steps can be made and missing pieces can be put into place should a flood damage your property. You can check with your local insurance agent on how to get more information on flood insurance and if it’s right for you. Finding water in the home is never a fun thing for a homeowner to experience. Our Chandler Water Damage Restoration professionals get that. That’s why we make sure we’re on the scene quickly. This calms and comforts the homeowner, but also allows them to get started with the water damage repair process. Thanks to great advances in drying technology, water damage cleanup can be completed faster and more convenient than ever. This all means that customers can get back to normal faster. So if you ever find water in your home, don’t try to handle the situation yourself. Just call us for a free assessment. It can happen to anyone. Some people go away for the weekend and come home to a flooded basement or a kitchen full of water. Now, what? When you are facing such a disaster, you may be overwhelmed with the enormity of the damage. However, there is help out there. Arizona Disaster Services water cleanup and restoration team, is ready to restore your Chandler property 24 hours a day; 365 days a year. Water damage lurks inside any structure with water supply lines. These water lines can supply toilet tanks, sinks, tubs, showers, ice makers, etc. Water damage can even come in the form of flooding. Flooding is water that comes from the outside ground surface into your property. You can also have water damage from your sewer system backing up into your home. It doesn’t end there. Storms with heavy wind and rain can also cause water damage inside of a property. With all of the possible scenarios that can cause water damage, one would assume that a property owner is ready for the unexpected. Well, that is typically not the case. Most property owners only experience water damage once in their lifetime and will have never had any experience with such damages before it happens. This is why the water restoration industry is a thriving field. Our Water Damage Restoration Company is here to take the stress and burden off of home and business owners in Chandler who are dealing with a water leak or flooding in their property. Many home or business owners try to handle water cleanup themselves. Without the proper skills or equipment, cleanup will be both time-consuming and frustrating. It may also end up costing you more in the long run if you try repair it yourself rather than hiring a professional. When you call a professional to assist you with water removal and restoration, the burden becomes lighter. We have specialized equipment that will remove the water from your home or business quickly and thoroughly. We can handle all types of water issues, from small leaks caused by plumbing or rain, to larger issues such as hurricane damage or other types of natural flooding. Arizona Disaster Services is a reputable source for emergency water damage repair. You can be sure that the job will be done right and in a timely manner. This leaves you free to continue with your day to day business. When you have a water damage emergency, it is important to contact a professional immediately. Our restoration crews understand the urgency a water damage situation creates. this is why we have flood cleanup crews on call 24 HOURS a day. All you have to do is pick up the phone an call. Response time is IMMEDIATE and in most cases on-site arrival is 60 minutes or less. Thousands of dollars can be saved by having a moisture mitigation team on site immediately. We offer very competitive pricing. However, every job is different, and the cost of the cleanup and repair will vary based on several factors. These include the amount of water, the extent of the damage, the size of your house and other issues. The best way to get a cost for your repair and restoration is to call and let a technician come out and assess the job. We then will be able to provide you with the most accurate cost estimate possible. The cost of water cleanup and removal can be pricey, and many victims of water damage worry about how they will pay to get their home or business restored to its condition before the leak or flood. Water damage is one of the most filed homeowner claims. The average cost of a water damage repair service is $2500. This cost is typically just for the drying services. There are usually reconstruction costs after the drying is done. If you have a homeowner’s, renter’s or business insurance policy, most insurers will cover the cost of water damage repair. This takes the burden of paying for the services you need off of your shoulders. You simply call us and set up a time for us to come out and take care of the water issues. Then file the insurance claim with your insurer so they will cover the cost. Nothing could be easier. With the help of a water damage restoration professional, your home can be returned to its former beauty, and any signs of water damage will be gone. Contact our company today and we’ll help you overcome your water damage restoration issues so you can move on with your life. If you have a property with water damage, and need 24 hour water extraction services, call us now. Damage sets in quickly so the sooner any wet structural materials are extracted and thoroughly dried the better. Our water mitigation team understands what it takes to handle these delicate disasters. Our typical response time for a water removal service is usually 60 min or less. What Does Our Water Damage Restoration Team Do? 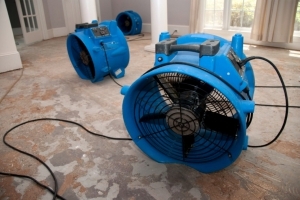 The purpose of water damage restoration services are to PREVENT mold and bacteria growth. It’s also to mitigate unnecessary structural repairs. Any building with active plumbing is a candidate for water damage. Water supply line bursts and sewer back-ups are two common causes of water damage in residential and commercial buildings. Most water damage occurrences are accidental. Unfortunately, some are intentional. Whatever the case, each situation has potential to become a breeding ground for mold and bacteria. Therefore, fast action and proper repair is a must. Our Company will be on site within one hour or less of your initial phone call. First thing our certified techs will address once at the property are any safety hazards. After a safety inspection, our technicians will secure contents and personal belongings in order of priority. After securing contents from further damage, our cleanup crew will start extracting standing water from flooring such as carpet and tile. After water extraction, structural materials will be assessed for elevated moisture content. Subsequently this inspection determines what drying protocol to apply, where to apply it, and what equipment will be needed. Our main goal is to make certain the structure returns to its pre-loss condition in the quickest and most cost efficient way. Special moisture monitoring equipment is used each day to check the progress of the drying project which helps to ensures a complete drying of all affected materials. Once the wet building materials return to their dry standard, drying is complete. It only takes a few moments for full saturation to set in and a few days for mold to grow (under the right conditions) if the wet materials are allowed to dry on their own. Without proper equipment it is difficult to measure the amount of moisture in the material just by looking at or feeling it. Most small water leaks IF taken care of professionally, will cost much less than what it would cost to clean up the same area if that area grew mold. Mold removal can be avoided with proper mitigation. We offer a free moisture inspection to gauge the damage and can give you a price quote upfront before services began. Have a professional provide you with an evaluation. The piece of mind gained knowing mold is not an option is priceless!